14-year-old Rawan Al Nazer from Lebanon, who has been suffering from thalassemia ever since she was born, started a brand new life with a bone marrow transplant operation after a suitable donor was found in Turkey. 14-year-old Rawan Al Nazer from Lebanon, who has been suffering from thalassemia (Mediterranean anemia) ever since she was born, greeted her new life in Turkey through a bone marrow transplant operation after a suitable donor was found in the country. Upon being diagnosed with Mediterranean anemia while she was only 6 months old, Rawan began going through a very difficult period. An application was made to the International Tissue Bank for Rawan, who had to undergo blood transfusion every two weeks, but the search did not yield positive results. 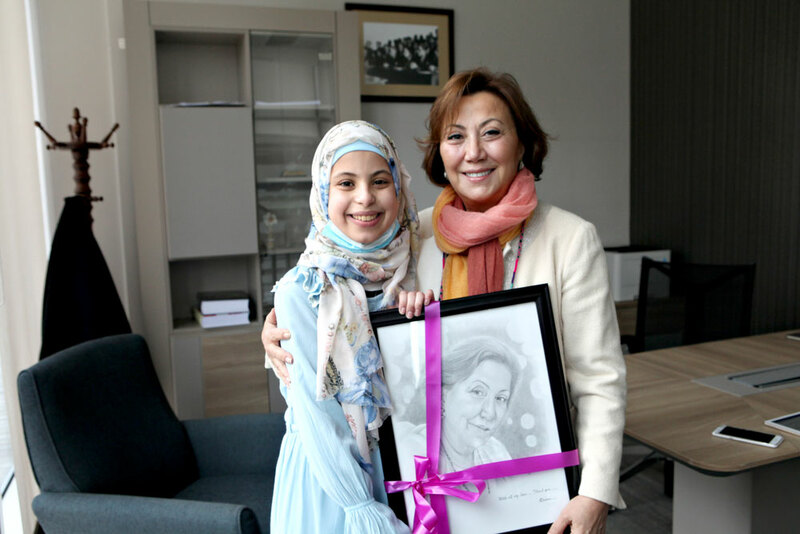 Just when Rawan had been driven to despair, she met Professor Gülyüz Öztürk, the head of the Pediatric Bone Marrow Transplantation Unit of Acıbadem University Atakent Hospital who was visiting Lebanon for a congress, and her hopes were reignited. This was because a Turkish bone marrow donor was found for Rawan. Professor Gülyüz Öztürk states that they took a blood sample from Rawan for tissue typing procedures in an accredited laboratory in Lebanon and that the tissue typing on the blood sample was followed by a search in the database of TÜRKKÖK, leading to positive results and discovery of a suitable donor. “Starting with a preparation stage, the bone marrow transplantation procedures proceeded with insertion of a catheter. We first tried to “reset” the bone marrow, which gave faulty output, through chemotherapy. In other words, we formed a settling and reproduction site for the bone marrow we would introduce. “The stem cells we detected in Rawan’s tissue were 100% those of the donor. Thankfully, we had no problems at all. We were able to send Rawan back home in the 6th month. Öztürk states that they established a connection with the doctor following up on Rawan in Beirut.